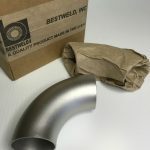 Brewery Quality & Pharmaceutical Fittings - Bestweld Inc. In the Pharmaceutical industry, quality assurance is paramount. Part of quality assurance is making sure your manufacturing process is built in a way that can counteract different variables (like heat, leaks, and temperature). Bestweld fittings are often used in the Pharmaceutical industry because they can handle high/low temperature (Cryogenic applications), severe corrosion, high pressure applications. Bestweld’s fittings enable manufacturers, engineers, and mechanics to increase the life cycle of plants, strengthen systems and increase the reliability of their manufacturing processes. Bestweld was incorporated in September 1981 and is a veteran owned and operated company. Bestweld employs over thirty people that work hard to manufacture high quality pipe fittings and create innovative, problem solving, pipe fitting solutions. Bestweld will work with our suppliers and customers, as partners, to continuously improve our products and services. The delivery of high quality, superior products leads to the success of Bestweld and its business partners.